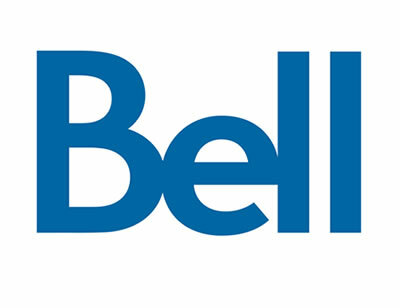 Some preliminary thoughts on the purchase of Canada's largest and most successful commercial broadcaster CTV by Bell. The two main commercial networks in English Canada are now owned by multi-platform media organizations which were once telcoms: CanWest Global is owned by Shaw and Bell now owns CTV. Financially, this means that the profits from 50 or more specialty channels (more than $1 billion a year) can go directly to Global and CTV to stanch the bleeding in their news divisions thus insuring their profitability. They will have more money than God to do what they do best - buy more American programming. That could leave the CBC with a unique opportunity to reduce its fixation on entertainment programming and sports to return to its mandate to provide programming that is “informative, enlightening and entertaining.” (CBC mandate 1991). As of last Friday, there are no pure broadcasters left in English Canada except for the CBC. The CBC is in danger of being perceived as out of this league. It may claim otherwise but it simply cannot compete with these two giant multi-platform entities. So the moment of existential truth is bearing down on the CBC like a freight train...Shaw and Bell will buy more popular US programming and at the same time, create apps to drive traffic away from other broadcasters, especially the CBC. Both the Globe and the public broadcaster appear suddenly vulnerable by the Bell purchase of CTV. How does the Globe distribute its product on other platforms? And if the value of old media was based in the concept of scarcity, how can the Globe turn its product based on scarcity into abundance without another partner? Can the CBC still be considered a player in this new media landscape? With the recent departure of Richard Stursburg, the prime creator of entertainment programming at the CBC, what options are now available to the public broadcaster to bolster its diminished reputation? I thought the Ceeb already had an agreement of sorts with the National Post to *share*. Hard to be cozy with two papers. Were you being ironic when you said that all this new revenue from being a multi-platform entity will stop the bleeding in the news divisions? How so? A company dedicated to profits will simply maintain the current policy of news programming being, at best, revenue neutral. We'll be lucky if news doesn't get worse.